Three of Belgium's top stars are being linked with moves away from the Premier League as they look to secure Champions League football next season. Romelu Lukaku, Thibaut Courtois and Eden Hazard are being targeted by some of Europe's leading clubs, with none of the trio set to finish in a top four spot with their respective teams this season. Lukaku has scored 25 goals for 12th-placed Everton so far this campaign, but says he wants to make “the next step” in his career by playing at the top level of European club football. 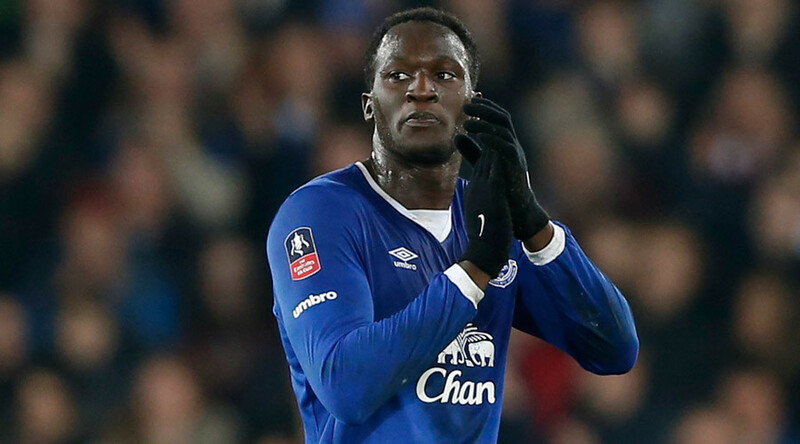 Manchester United, Bayern Munich and Borussia Dortmund are all interested in signing Lukaku, with the big striker admitting he is flattered to be attracting attention. "It means people are keeping an eye on you," he told Sky Sports. "I have an agent who is dealing with this for me at the moment." "I just want to be good, help my team-mates win games and score lots of goals. "I'm 23 next summer and I think it would be nice to play in the Champions League from next season." Chelsea goalkeeper Courtois has endured a difficult campaign at Stamford Bridge, after undergoing knee surgery back in September which kept him out for almost three months. Courtois has been linked with a move to Real Madrid and he sparked speculation he would be open to a switch to La Liga during an interview he gave while on international duty with the Belgian national team this week. When asked whether he would stay in London, Courtois said: "I do not say yes, I do not say no. I do not know. I still have three years on my contract. We must see what Chelsea want. "It is true that it [this season] has changed me. Until now I had always won a trophy every season. We hope that next season will be better. "There are only world-class players [with Belgium], while at Chelsea there are some players a little less rated and we often train with youngsters as well. "We have matches every three days, no winter break, there are many cup matches. The pace is high and the contacts are tough." Hazard is still much in demand despite suffering a dip in form this season. The midfielder started all 38 Premier League matches for the Chelsea last season, scoring 14 goals and helping the club to their first Premier League crown since 2009/10. He is yet to find the net in 26 league games this time around, but a move to Madrid with Courtois could be on the cards, while Paris Saint-Germain are also thought to be interested. One player who could be heading in the opposite direction is Zlatan Ibrahimovic. The 34-year-old striker is likely to leave the French champions when his contract expires this summer, with Manchester United, Chelsea and Arsenal all thought to be keen on signing the Swedish star. He said: "There's interest, I can confirm that. We'll have to wait and see what happens. I'll look at every offer on the table and then make a decision. It's like a marriage. Both parties need to want it just as much. "I have a contract until the end of June, when contracts normally run out, and I believe I have a lot of options. A lot of big things will happen this summer. I think there will be a lot of opportunities. If you just have a little patience, there will be a lot to write about. The future looks very bright. "A lot of respect to PSG and the relationship I have with them. They have kept all their promises. Respect is the only feeling there is between us."